So that is why it is especially hard when your best friend dies. That is what happened to this family, or at least that is what they thought until they were proved wrong in the most hilarious way possible. 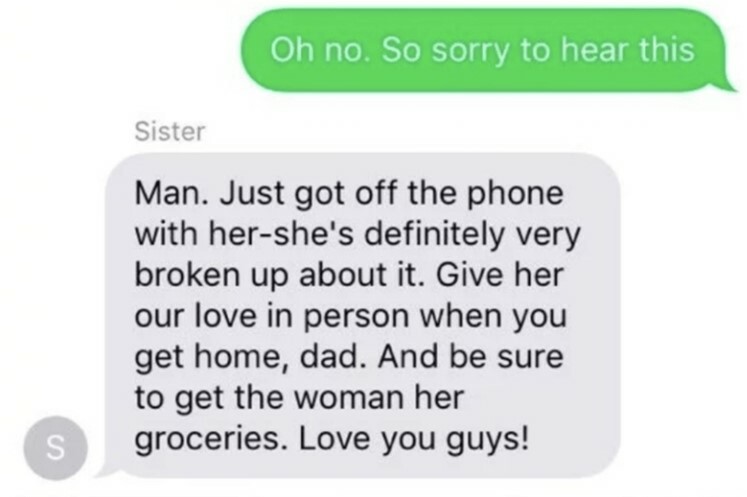 You can read the mournful texts between two sisters and their father. So scroll on below and take a look. Personally, I don’t think a message like this should be conveyed through text. I don’t blame her; I would be broken up about it too. However, Just when they were trying to get used to the idea of no longer having their friend, she came back! 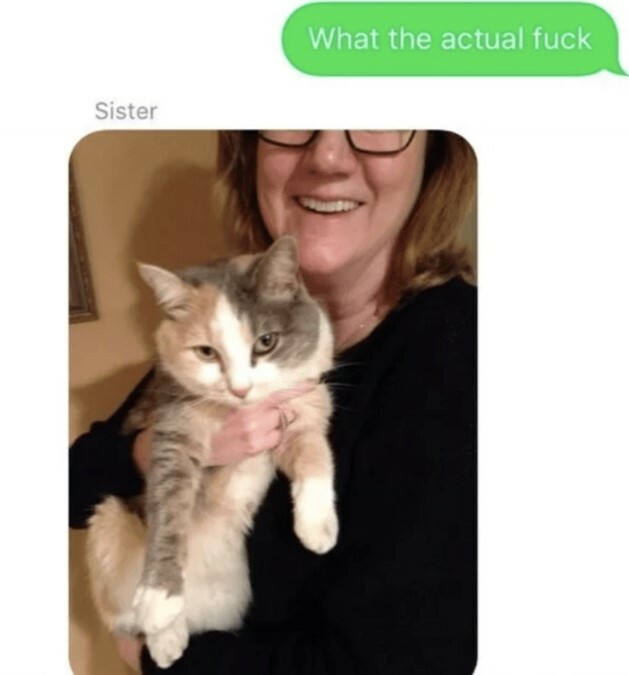 As you can imagine, the daughter was rightfully shocked and wanted proof. And the dad was only too happy to oblige. At least the mother looks ecstatic. But that is not all, The body they buried was actually of a rabbit. I don’t know about you, but I definitely did not expect the body to be a rabbit. 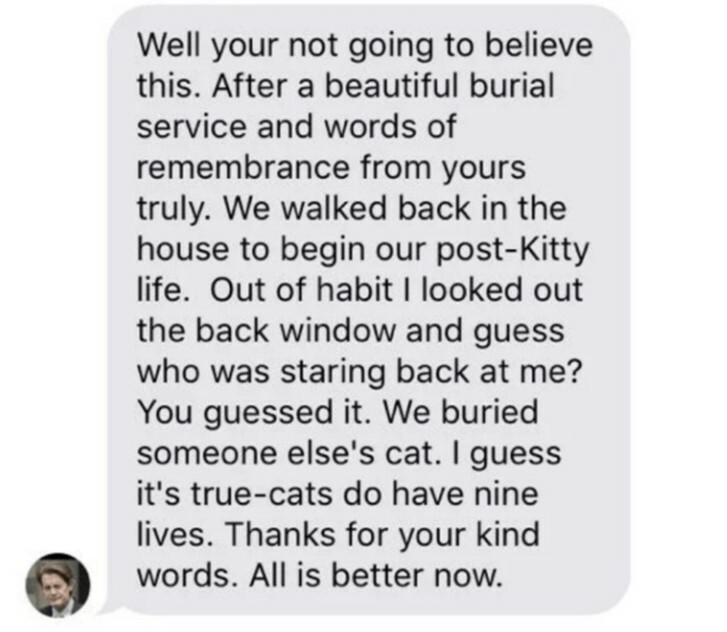 However, I am glad that the cat was alive and well. She just looks confused. 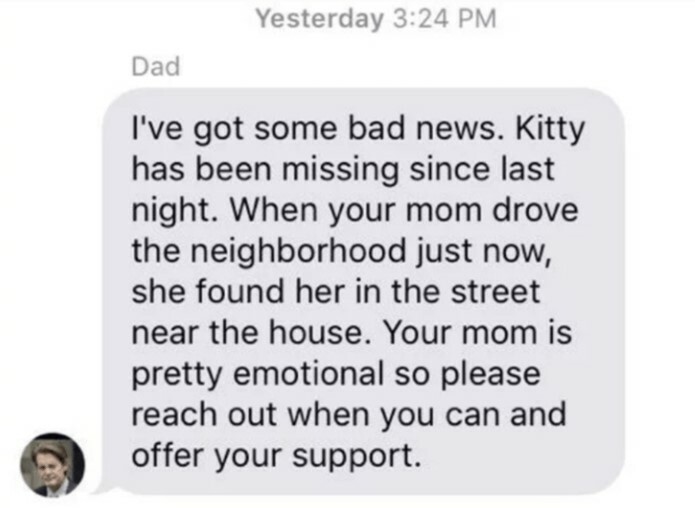 What would you do if your cat went missing? Comment down below and let us know.